Thanks to your urgent support, together we were able to win some shade for the horses and burros at the BLM's Palomino Valley Center (PVC). On August 6th, the BLM held an open meeting to take public comment on the issue. Your signatures were presented by our friend and wild horse warrior Jetara Sehart of Native Wild Horse Protection at the meeting. Today, the BLM announced plans to install 3 types of shade structures to test their usability and effectiveness. We are confident that the horses will find the shade beneficial and well-enjoyed and hopeful that the researchers will too! This is a major victory for the horses and burros and we couldn't have done it without you. This message was sent by YEA! - Youths' Equine Alliance using the Change.org system. You received this email because you signed a petition started by YEA! 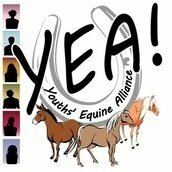 - Youths' Equine Alliance on Change.org: "GIMME SHELTER." Change.org does not endorse contents of this message.